Since 2015 Seatruck volumes have risen over 30% as their long sea unaccompanied service has significantly grown in popularity. Over this period Seatruck has committed additional tonnage and increased sailing frequency in line with customer demand. Seatruck now operates 76 departures per week on their 3 routes which operate between Heysham - Warrenpoint, Heysham - Dublin and Liverpool - Dublin. 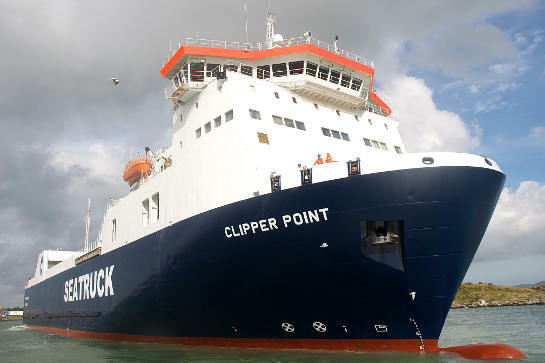 Strongest growth has been into Dublin where Seatruck now operate 5 departures per day in the busy midweek period. Seatruck believe that the continued and worsening HGV driver shortage in Ireland and the UK is leading to a growth in unaccompanied trailer shipments as operates seek to use this vital resource more efficiently. By shipping trailer only, from ports which reduce road mileage compared with the traditional transit through Wales or Scotland, operators can make significant door to door savings in what is an increasingly competitive logistics landscape. In the coming weeks a new £7m loading ramp will be installed at Heysham Port which will provide Seatruck with an enhanced service in the Port from the new dedicated facility.